Insurance can be very confusing, especially when buying a house or car and sometimes, when it’s too late; at claim time. Tolson and team take pride in making sure that you understand your policies BEFORE it’s too late. With 10+ years in the insurance industry and an extensive knowledge of the real estate industry, you can rest assured that he can help you customize your insurance for your home, car, business and even your life. Tolson’s ability to shop through a multitude of top rated insurance companies means that you never have to search for insurance again! Tolson, a native Houstonian attended School in the Heights Area at St. Anne’s, St. Thomas High school and then concluded his formal education with a BBA at University of Houston. 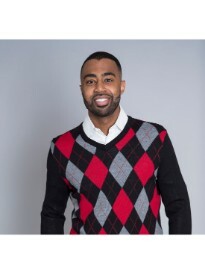 His entrepreneurial spirit was evident at a young age but it was not until he graduated from the Sales Excellence Institute at U of H that he realized that this spirit would lead him to a career in financial services. At the age of 22, Tolson knew what he wanted out of a career; to enjoy the benefits of business ownership, to be financially sound, and most importantly to fulfil his purpose of helping others. In early 2006, Tolson embarked on a career path that would allow him to do just that. As a State Farm agency owner, he found his passion in helping his clients navigate the insurance maze and also in helping his staff along fruitful career paths. He and his team broke the national record by selling more policies in their 1st month of production than any other State Farm agent in history. Tolson and team went on to achieve Legion of Honor, Bronze Tablet, Chairman’s Circle, Ambassador Club, SVP Club, President’s Club, and ranked as high as #11 on the Top 100 ranking. Although he enjoyed much success with State Farm, when Tolson discovered that Goosehead insurance would allow him to help a wider variety of clients, leave a legacy for his family and also better align with his business model, he joined the Goosehead family and opened his own franchise. Contact them today to get your free customized quotes! In his free time, Tolson stays busy traveling, playing basketball, rooting for the Rockets and Texans, going to church, spending time with friends and family, hosting social events and educating/mentoring the business students at U of H.